Dustin Fults is a graduate of California State University, Northridge where he studied History and Political Science. Serving and bartending his way through college, Dustin realized that his real passion was in wine and hospitality. Currently he is the Consumer Direct and Hospitality Manager for Langtry Estate & Vineyards in Northern California’s Guenoc Valley. Dustin’s years in college lead him to both serving and bartending at fine dining restaurants throughout the Los Angeles and Napa Valley areas. Researching which wines to pair with many different ethnic foods and taking over his father’s 45 acre ranch in Lake County pushed Dustin to work at Guenoc Winery in 2005 in the tasting room. 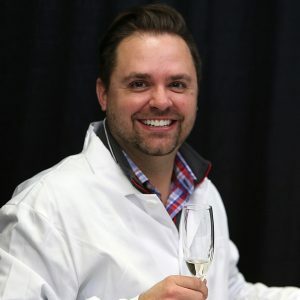 Becoming more interested on how things are done in the vineyard, he took a position as a sales consultant for Lake County Grapevine Nursery and studied Viticulture at Napa Valley College. After a few vintages at Robert Sinskey Winery in Stag’s Leap Dustin had the opportunity to return to Langtry Estate in his current position in 2010. Dustin and his Father plan to have their own winery and tasting room on their family ranch in Lower Lake in the near future.